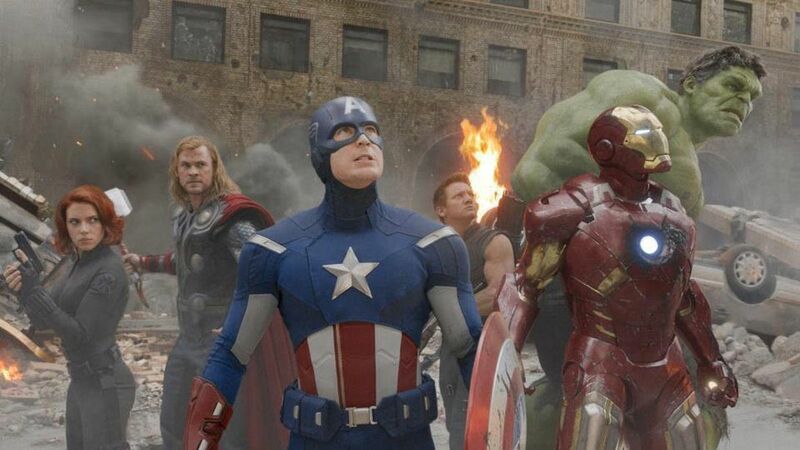 Some of you may not understand when I say that no matter the quality of the films that in my eyes the Avengers series is one of the greatest cinematic marvels (LOL) that I have ever experienced. It’s not a sentiment everyone agrees with, and that’s fine. Casual work friend Matt certainly didn’t agree when he made his feelings known; that one superhero film is the same as another, and that what he considers art has been bled dry from modern film making. Okay. Cool. Agree to disagree. But what cannot be argued is that these films have struck a chord, and that the masses enjoy them for a reason. Part of what makes any work great is that it meets the audience halfway. It could be argued that what an audience brings to a film is equally important as what the film delivers in order to convey its message. I can’t speak for everyone else. All I have is my own meandering experience, and my experience is that of a former fifteen year old child delving into comic books for the first time. Tanya sat under a dark cloud for the better part of a week. She curled in her blankets. The sounds in her headphones alternated between new wave and podcasts. Every second meal consisted of leftover pizza, and the only time she left the dorm was to drag herself to class. How long had it been since she’d changed out of her pajamas? I couldn’t tell you, but the smell was too much. She presented the typical arguments; ‘I’m fine.’ ‘I need time.’ ‘It’s not that bad.’ ‘Don’t waste your time worrying about me.’ Next she offered distraction by reminding me that there was a city to patrol. Though all had been quiet since the reign of cats and dogs. No more talking. I threw the duvet to the floor and dragged her by the feet. Tanya kicked and whined but it was no use. Tough love was the order of the day, followed by a shower and some real food. I sat and waited for her while she was in the bathroom. Tanya had every reason to mope. Her first romance met with one disaster after another and fell on its face. It could be it was never meant to last, but even so, she was still a girl, and girls always remember their first. Or so they say in TV dramas. You probably saw the news. It turns out that aerosol dispersal only covered the surface of the problem. To be effective we’d have to force our way down, probe the dark corners of the city, and tackle what’s left head on. In a few hours the retrovirus was in production. Tanker trucks from all corners of the city migrated to the airfields. What a sight to behold; people coming from all over with a single purpose. Their collective world turned upside down when nature turned. They would do anything to put things back to normal. I fought to still myself. The important work was in the hands of scientists and engineers while I stood guard. Meanwhile there was a city under siege. People and their children weren’t hiding from dogs and cats alone, but racoons, birds, rodents, and more. The animal kingdom was gifted power it couldn’t understand. The convoy barreled down the winding dirt trail toward the grass strip. To one side was the gritty aluminium hanger, home to a range of museum pieces that passed for aircraft. Humble as they were, they were the key to salvation. Last year gave me the incredible opportunity to stand shoulder to shoulder with other profound queer speakers as part of Queerstories. Queerstories for the uninitiated is a regular live storytelling event offering a platform for sexual and gender diverse people to share pieces of their lives. Sometimes comic, sometimes tragic, but always meaningful, Queerstories draws people from all manner of backgrounds, and with some luck opens a few eyes along the way. A very special thank you goes to Maeve Marsden and all the others without whom such a wonderful event would not be. Since the transition from Shimmerverse.com to the new domain it seemed fitting that I should, on occasion, share thoughts and feelings in blog form. Here is the first. At some point I became a kind of veteran of the transgender community. Don’t ask me how it happened. Perhaps after eleven years of transition it was inevitable. Young transgender women – or at least transgender women who’ve recently found themselves – come to me for advice. Sometimes it’s for resources, sometimes it’s about confidence and self-care, but more often than not it’s about wanting to be ‘more like’ a girl or woman. First of all let me say that there is nothing wrong with these women asking how to better be their newly minted or emerging gender. Not all of us have the constitution to stand up and be fully authentic in a world that likes to put us in our place. For the second time in as many months the staff at InfiniTech were audience to the impossible. First it came in the form of a disgruntled zealot folding the universe. Next was the evolution of Milestone City’s fauna. A process taking millions of years of genetic trial and error leaped forward in the space of a morning. How was such a thing possible? Dr. Storm and her team had theories, of course. They developed working models to explain animal cells adapting at an accelerated pace. To do so required incredible energy – no doubt from space – but the means to measure it evaded them. In hours men, women and others made incredible discoveries. Still few could determine the how and why of the event, let alone a potential resolution. The doctor sat with knees propped on a chair, offering vantage enough to peer down a microscope. Her hazmat suit crunched as she reached for a recording device and held it to the clear plastic of her visor.